As we spring into Spring, I’ve decided to spend more time making our home feel like an inviting, comfortable, and restful space. Over the next month or so, I plan to eliminate unnecessary clothes and shoes from our closets, purge our pantry of old food, and rearrange some furniture. I also want to stop burning candles and wax melts, which cover up household smells (read: I have a dog) with a strong fragrance. Diffusers are relaxing to watch, and the scents don’t give me headaches or leave the air feeling stuffy. My husband got me an adorable wooden diffuser as a gift, and it’s been dormant for the last few months. I’ve been burning candles and wax melts, but diffusing gives that “clean air” feeling rather than a strong artificial fragrance. I wouldn’t say I’m sold on the essential oil lifestyle, but I do use and enjoy them. 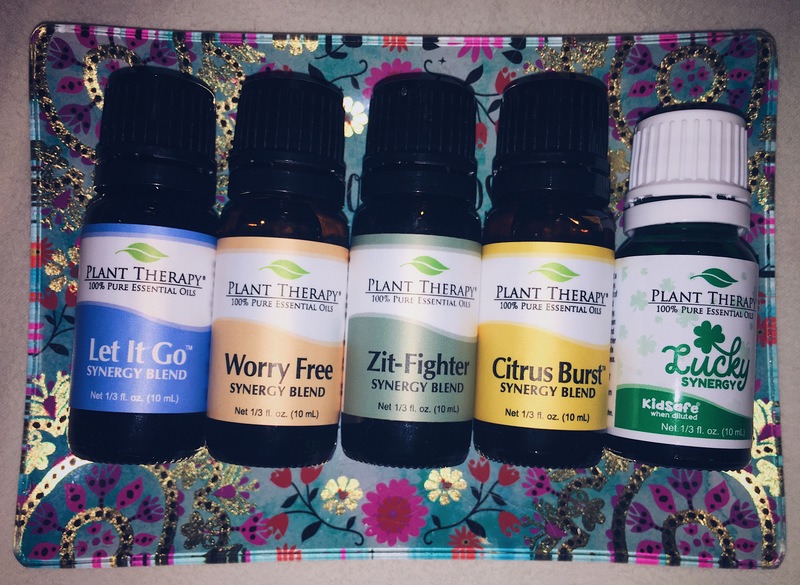 I buy pretty much exclusively from Plant Therapy for several reasons: they have great customer service, fast shipping, quality oils, reasonable prices, transparent testing, and certified aromatherapists. I don’t support Young Living or DoTerra on the basis of their misleading business practices (therapeutic grade means nothing and neither does seed to seal 😱) and lack of credible consultants. Anyone can invest money and become a consultant for those companies, meaning they aren’t required by DoTerra or Young Living to be certified aromatherapists or experts on the safe use of essential oils. As a result, consultants have given out incredibly dangerous and unsafe advice, something I experienced firsthand from a DoTerra consultant. I strongly encourage you to research any company you buy essential oils from in depth, because it’s a relatively unregulated market and it’s hard to make sure you’re buying unadulterated and reasonably priced oils no matter where you buy. I personally love Plant Therapy, but Mountain Rose Herbs and Edens Garden are also companies I trust. Since I’m trying to stray away from candles/wax melting, I bought a handful of new oils to use and diffuse this spring! Previously, I had pretty much only diffused lavender. I’m most excited to diffuse the Worry Free Synergy, which smells so incredibly amazing and inviting. I’ve also got a blog in the works about the Zit Fighter Synergy specifically (hint: it’s amazing!). What are your favorite essential oil blends/companies to buy from and why? Let me know in the comments! 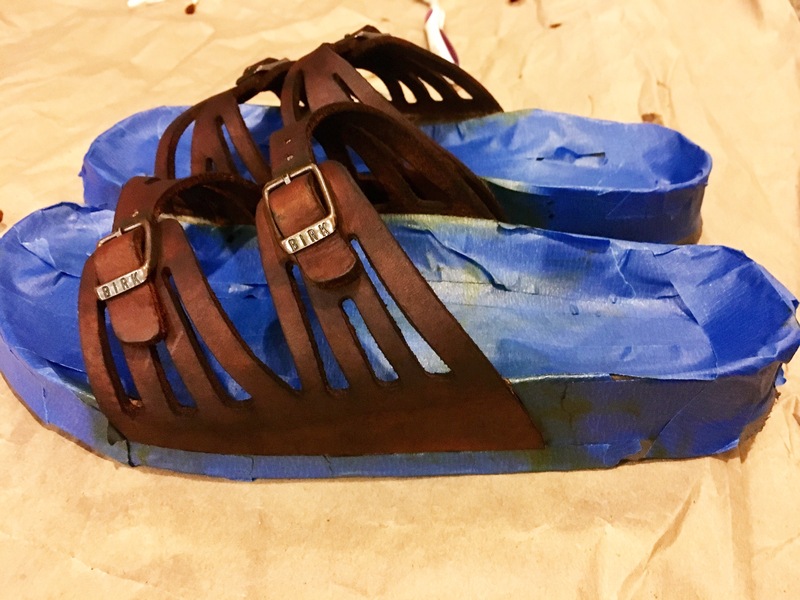 Three years ago, I bought my first pair of Birkenstock sandals—the Granada style in “Tobacco Brown.” I was in love with those shoes…until the oiled leather deteriorated and they looked weirdly flesh toned against my fair complexion. Birkenstocks are a classic shoe, one that I think should be in everyone’s closet. They’re comfortable, supportive, and the perfect casual summer (or winter—I’d be lying if I said I’ve never worn mine with wool socks like the dirtbag hippie I am) sandal. Don’t knock them until you try them. And the soft footbed is worth the extra money. Alas, my ride or die relationship with my Granadas began to fade over the last year. 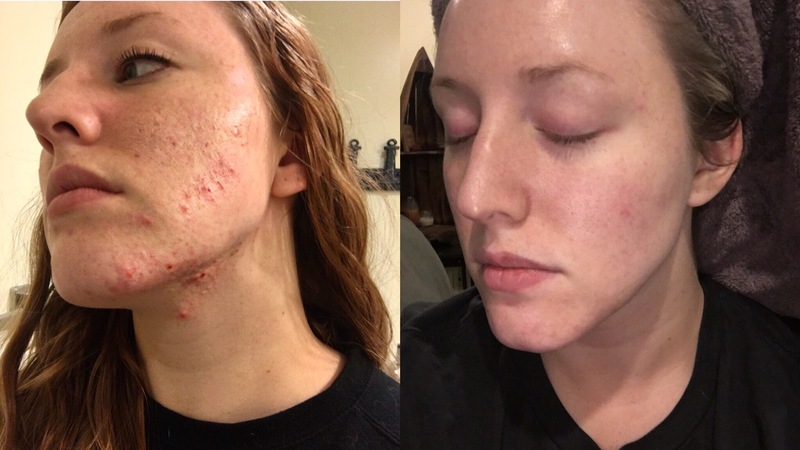 If you’ve been reading my blog for a while, you’re probably aware of my former addiction to fake tanning (the UV ray-less kind). I’ve given it up since living in Okinawa, because my beloved Fake Bake Flawless can’t be delivered due to shipping restrictions. As a result, I’ve been trying to embrace my fair, yellow-undertoned skin—which unfortunately looks really weird against the pale tobacco hued leather of my Birkenstocks, so I stopped wearing them. I’m not one to toss out a $135 pair of sandals, though, so I did some thinking. Can you dye leather/suede at home? I took to Google and found some blogs about dyeing suede shoes, although none specific to Birkenstocks. A few mentioned a product called Fiebing’s Suede Dye, available on Amazon. Naturally, I impulse bought it. 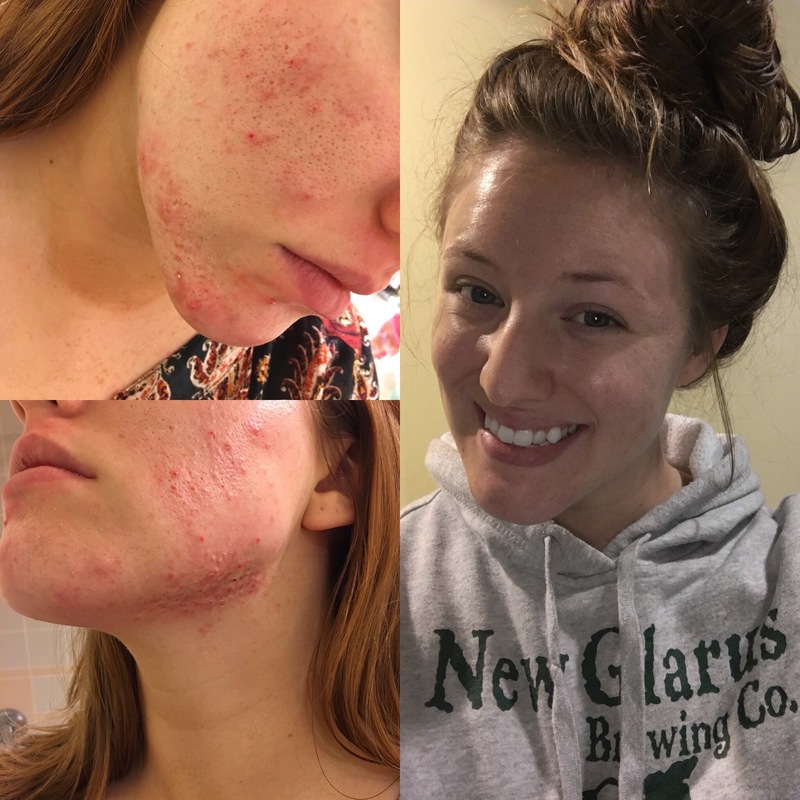 (Eight months ago…it’s taken me this long to gather the courage to follow through with this project!) Photo reviews on Amazon were super helpful, and saved me from buying a really icky shade of brown. I highly recommend going through each shade available and trying to find photo reviews to get a true representation of how the color takes. It’s also really important to remember that whatever dye you choose will look different depending on what the starting shade of your shoes are. Don’t expect cool-toned blue leather to take a warm-brown dye and look like my end result. I settled on “Medium Brown” because it was the closest to the Birkenstock shade “Habana,” my goal color. Let’s talk about the rest of the supplies you’ll need: a workspace, preferably covered in newspaper or something you don’t mind permanently staining; nitrile disposable gloves (the dye will stain your hands…forever); painter’s tape; an old toothbrush; shoes. The first step is to cover any surface you aren’t dyeing with painter’s tape to protect it. At first I almost considered only covering the footbed with painter’s tape, but I’m really glad I wrapped the whole shoe. The dye has a watery consistency and dripped everywhere. So keep that in mind when you’re wrapping your shoes—I know some people like to dye the sole along with the shoe, but if that’s not what you’re going for then definitely wrap the whole thing. Next, you’ll take the dry toothbrush and brush out the suede to loosen any debris. I had a bunch of sand leftover from last summer embedded in my shoe. Classy. Cover your hands with the gloves, shake the bottle of dye, and grab the wool dauber (included with the dye). Basically, just paint it on in even strokes. I thought I was going to totally jack it up, but the dye doesn’t soak in for a minute or two, so you have plenty of time to work with it. I did small sections and didn’t run into any blending issues, but if you’re working with a larger surface area you might consider seeking out a different application method. The wool dauber worked well for the most part, but I did have to use Q-Tips to get into the negative space on the straps. I let my newly-brown Birkies dry overnight, and they were wearable in the morning. I did notice a couple of teeny spots where the dye didn’t take as much, but it looks intentional so I left it. If you didn’t know I dyed them, you’d probably think I bought them that way! I have to say, I really love the result. I definitely won’t be filing this as a Pinterest fail! If you have an old pair of leather or suede shoes that you’re thinking about tossing, consider giving this a try to revive them. The dye is relatively inexpensive // $9, Amazon // and I have enough leftover to dye several more pairs of shoes. Are you working on any DIY projects at the moment? Let me know in the comments!